Image caption: portrait of me lecturing about my pieces, “Androgyny 2” and “Androgyny 3" taken by curator Linda Griggs during the group exhibition "Chewing Tar" at Lichtundfire, October 2016. WELCOME to the first installment of my artist video channel, a look back at various studio visits and artist talks via video documentary links. Please check back for updated content. 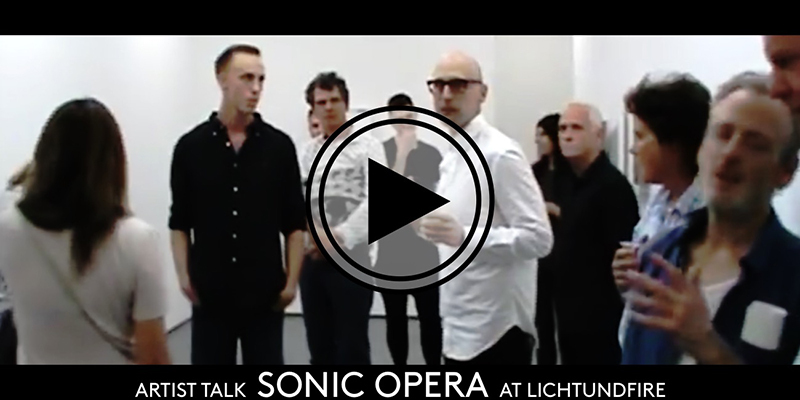 Click the image above to view a Lichtundfire video of the artist talk given by Christopher Stout as part of his May 2018 solo exhibition, SONIC OPERA. This talk was presented in correlation with Christopher Stout’s solo exhibition, SONIC OPERA. Click the image above to view a Lichtundfire video of the short artist talk given by Christopher Stout as part of his February 2018 exhibition, LOVE FEST (SERIOUSLY). This group exhibition also included the work of artists Greg Brown, Christopher Hart Chambers, Koki Doktori, Augustus Goertz, Allen Hansen, D. Dominick Lombardi, Creighton Michael, Jeff Wallace, and Gerald Wolfe. Lichtundfire is directed by Priska Juschka. 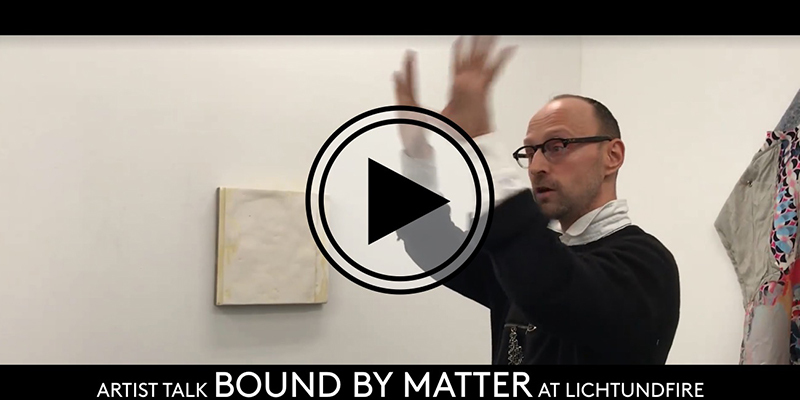 Click the image above to view a Lichtundfire video of the short artist talk given by Christopher Stout as part of his October 2017 exhibition, BOUND BY MATTER. This group exhibition also included the work of artists Greg Brown, Matthew Neil Gehring, Augustus Goertz, Rebecca Murtaugh, Alan Neider, Jeffrey Wallace and Ted Thirlby. Lichtundfire is directed by Priska Juschka. 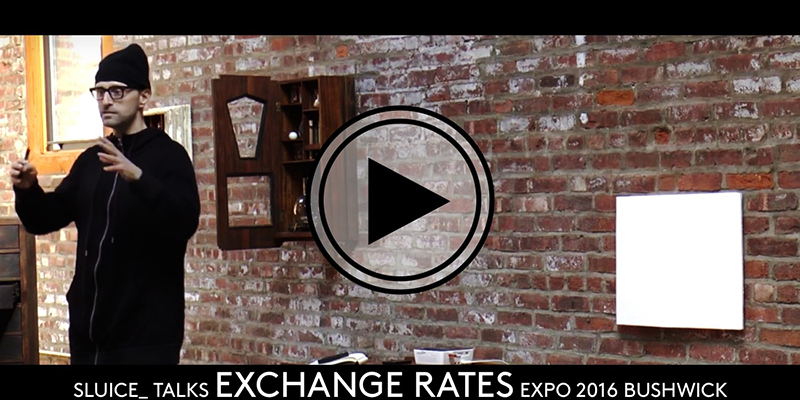 Click the image above to view a Sluice_ “10-minute talk” given by Bushwick gallerist Christopher Stout on the work of Andres Serrano as part of Exchange Rates 2016. Conceived and produced by arts organizations helmed by artists and curators in Bushwick, Brooklyn and London, England, the Exchange Rates project is an international exposition of artworks and curatorial programs in which host spaces in one art community open their doors and share their walls with kindred spaces on visit from elsewhere. Kind thanks to Paul D’Agostino, Karl England, Stephanie Theodore, and The Exchange Rates team leadership for inviting me to speak. Click the image above to view an artist studio interview of Christopher Stout originally published by Bushwick Art Crit Group. Bushwick Art Crit Group (BACG) was a nonprofit arts organization founded by Christopher Stout that ran for 3 years during 2013-2016, with a mission statement of understanding Contemporary Art through the lens of the art and artists in Bushwick. This film comes from an artist studio interview of founder Christopher Stout preceding his April 2015 solo "A.O." at Art Helix Gallery in Bushwick. 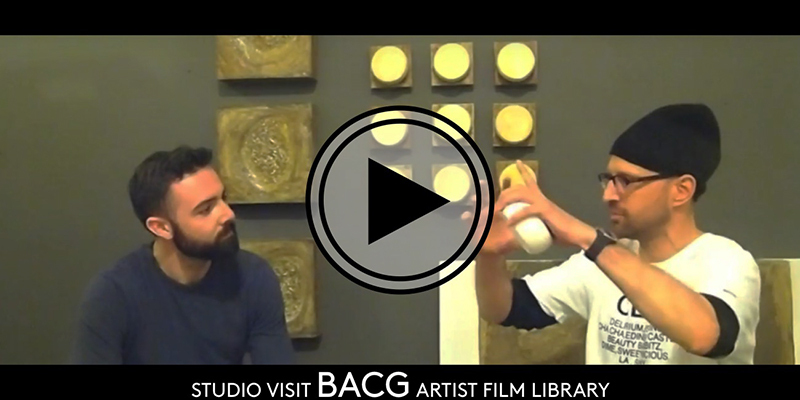 This interview was originally published on BACG's video channel, which was titled BACG Artist Film Library. 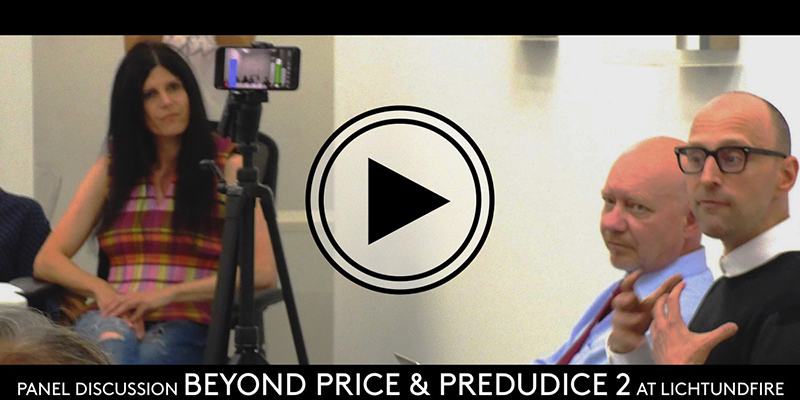 Christopher Stout is interviewed by artist and BACG leadership team member Eric Gottshall. 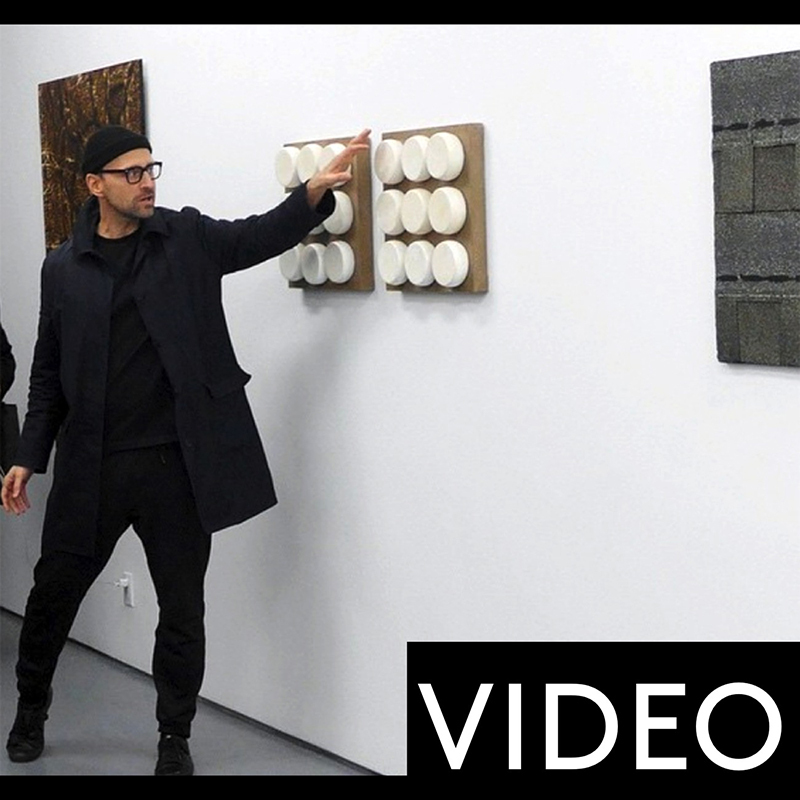 Click the image above to view a video of a Bushwick studio visit and interview with artist Christopher Stout and Fountain Art Fair Producer, Elizabeth Tully. 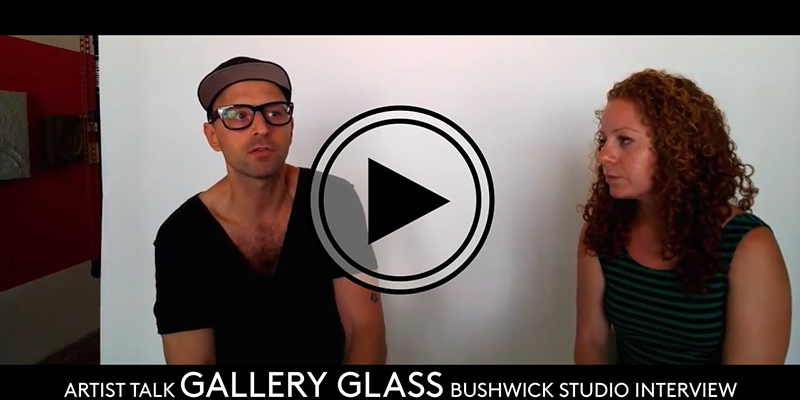 This was shot by Samantha Katz using Google Glass technology and was episode 3 of her web series, "GALLERY GLASS."